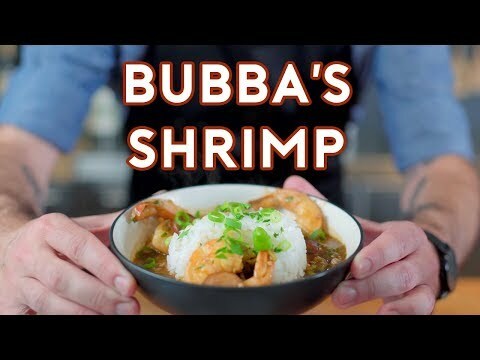 Bubba Gump Shrimp doesn’t have to be associated with a horrible chain restaurant in Times Square – it can be the fullest realization of Bubba’s love for the fruit of the sea. Creamy shrimp salad, crispy coconut shrimp, luscious shrimp gumbo – join me as I embark upon the first few dishes on the illustrious list dreamt up by everyone’s best good friend. And I managed to do it without even a single Forrest Gump impression!